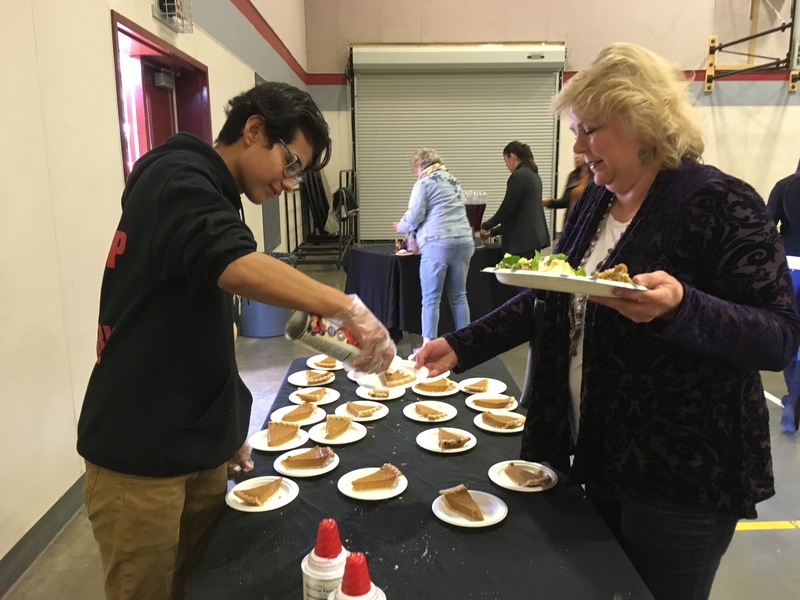 El Dorado County Office of Education (EDCOE) employees were incredibly thankful on Friday, November 11th, to be treated to a Thanksgiving feast dished-up by the students at Charter College & Career Prep (CCP). The annual event, in which CCP culinary students work with the EDCOE kitchen staff to prepare a Thanksgiving buffet, has occurred before Thanksgiving recess for over twenty years. This unifying meal provides both a culture of appreciation for the staff and a certainty that students will enjoy a traditional Thanksgiving meal. This is a joint project between the EDCOE kitchen staff and maintenance departments, who respectively prepare the food and set up the dining area; culinary arts students, who helped prepare the meal; and student council, who hosted and served the meal to over 200 students and staff. Culinary Arts and the Associated Student Body programs at Charter College & Career Prep are just two examples of the many ways Charter Alternative Programs help guide students toward a successful transition into higher education and the workforce. Additional information about Charter College & Career Prep may be found at http://charter.edcoe.orgor by calling (530) 295-2259.